Following steps detail how to accept reservations right with in facebook page. Your guest does not need to be re-directed to your web page. Click "Add Static HTML to a Page". 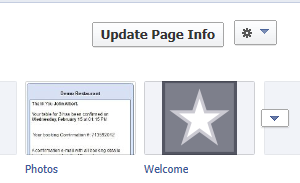 Login to your existing facebook account. Click "Add Static HTML to a Page" again from the other window. Click the blue button "Add Static HTML:iframe tabs". Click on the down arrow next to the tab. Mouse over the tab and click on the small pen icon that appears on the tab. Change Custom Tab name to "Reservations". Click Save. Click Okay. You will see tab name changed to Reservations. Click the Reservations tab. Click "Edit Tab" button. Copy and paste the Restaurantry's facebook reservation widget in the code window. Click "Save & Publish" button. 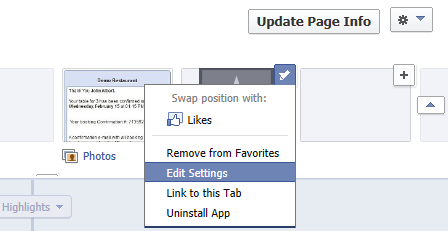 Then Click "View Tab on facebook" button on the top of the page. 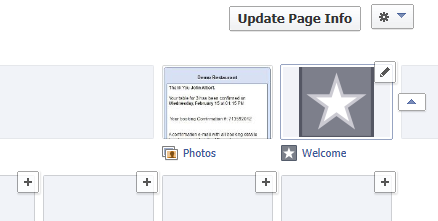 If you have any questions regarding facebook restaurant reservations, please contact us. Leverage on facebook to increase your reservations.